Yesterday, greyhound protection advocates won an important victory when Pennsylvania Governor Tom Corbett signed a bill into law (House Bill 67) that prohibits simulcast gambling on greyhound races. 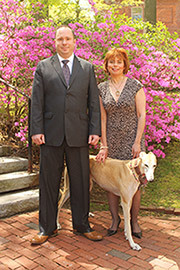 This victory is primarily due to the hard work of a Pennsylvania-based group named Citizens Against Greyhound Racing and its President, Ann Bradley. Additionally, the measure would not have passed without the leadership of State Senator Stewart Greenleaf and State Representative Curt Schroder. "As the owner of rescued greyhounds, I have seen the devastating effect the racing industry has had on these dogs. They make fine pets and it is gratifying to me to know that Pennsylvania will not be supporting an industry that abuses and neglects these sweet and gentle animals." The fight for greyhound protection is primarily a grassroots effort, and this effort was a shining example of people power. 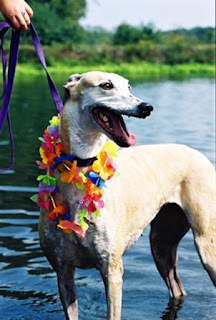 With the signing of HB 67, the humane community is one step closer to the day when greyhound racing is completely prohibited in the United States. Wonderful! So glad to hear good news! Hope you and Christine and your greyhound are doing well!